An Administrator may grant a Power User permission to modify one or more Targets. 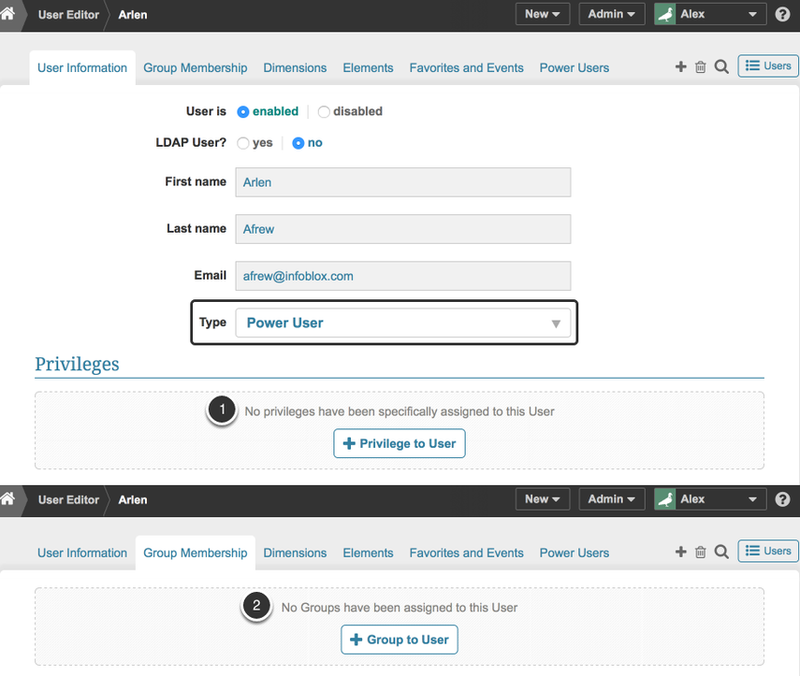 This can be accomplished through inheritance from a Group to which the Power User is assigned or directly on the User Editor, as described in this article. 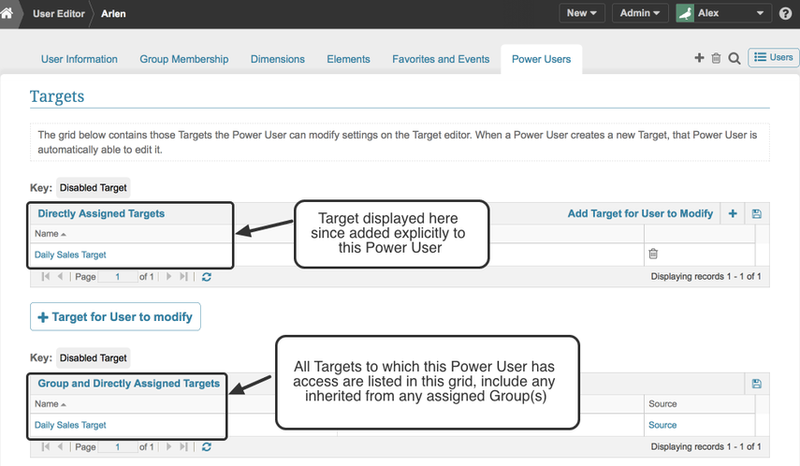 Access the Target Editor of those Targets for which they have Modify permission or that were created by this Power User. On the Target Editor, thIs Power User can change the settings, associate a Metric, add/upload Target data or delete the Target. 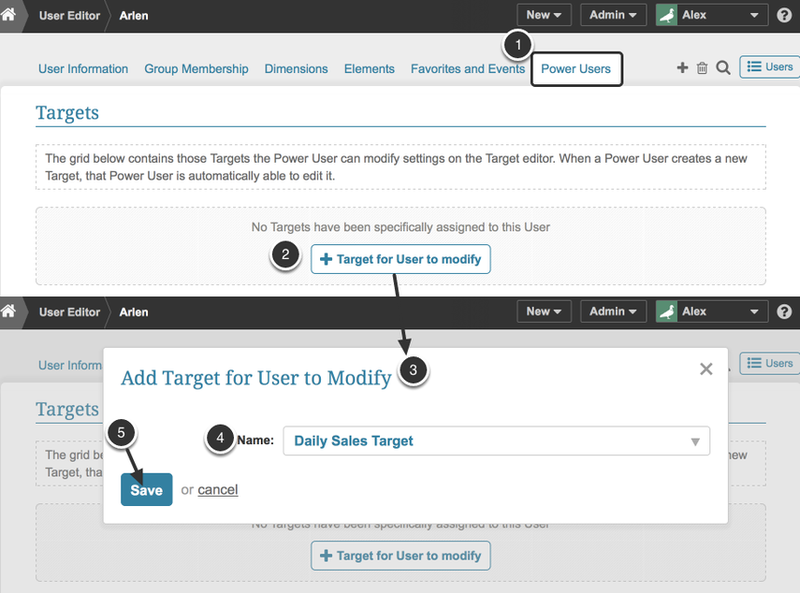 Associate a Metric with a Target if the Power User is an Owner of a Metric or created it. In Release 5.5.0, the Privilege 'Access Target View' was removed and is no longer required.